I wondered why this was missing from my '85 when I bought it. Most other manual transmission cars I've seen from other OEMs have them. 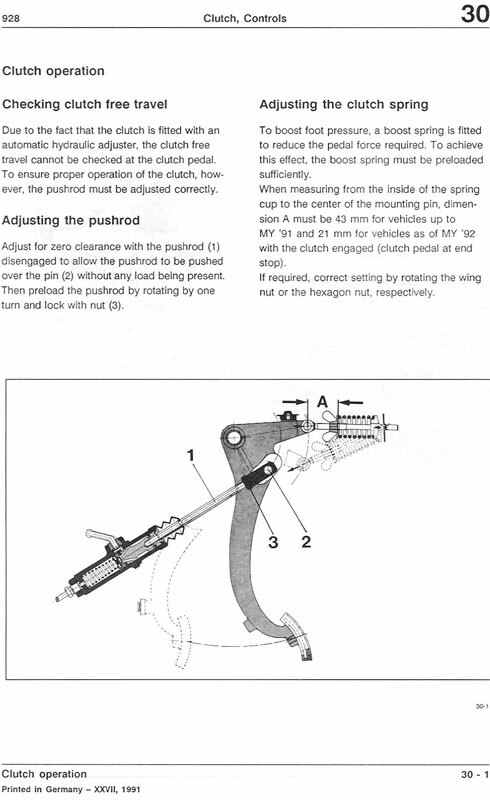 Lets you know where the clutch is totally disengaged, instead of just pushing all the way to the floor 'just in case'. Adjust it with a lot of room for feathering, or closer for faster shifting ('85-up ) from less time spent disengaging/engaging the clutch. I'm able to sit a bit farther away from the steering wheel now that I don't have to push to the floor. It appears that single disk clutches ('87-'95) need a lot less throw to disengage compared to the doubles ('78-'86), and can have a lot of dead space taken out. I reckon it would be ideal for Colin's new Super Shifter. Last edited by PorKen; 12-09-2009 at 10:26 PM..
What is the "them" you are referring to? Is it the rubber bumper to the right of the boot near the center of the pic? Can't tell from the parallax what will hit that bumper, if that is what it actually is. 'Them' is the rubber bumper/clutch stop. 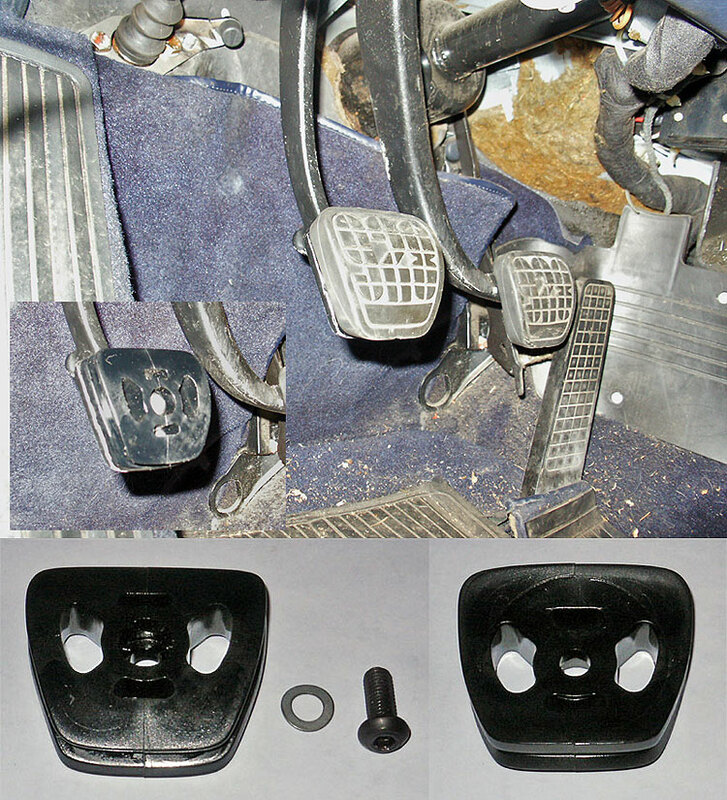 The clutch arm hits the center of the bumper about 3" above the pedal. 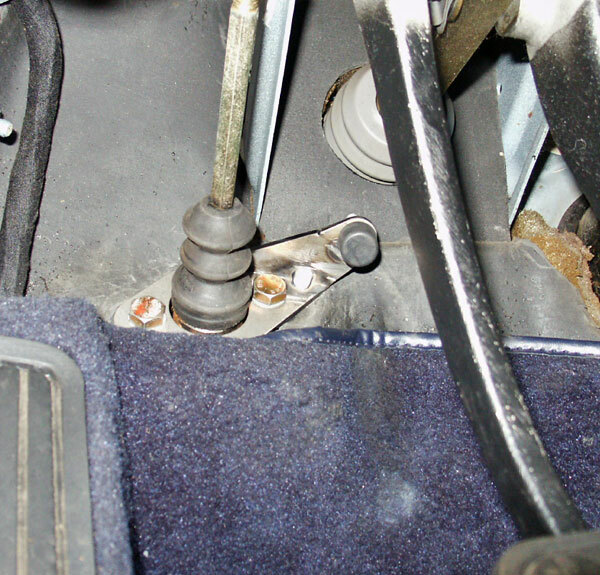 Along with my clutch stop, I'm going to get a factory spacer for the pedal, too, so I can sit farther away from the steering wheel with my shortish (for my height) legs and long arms. 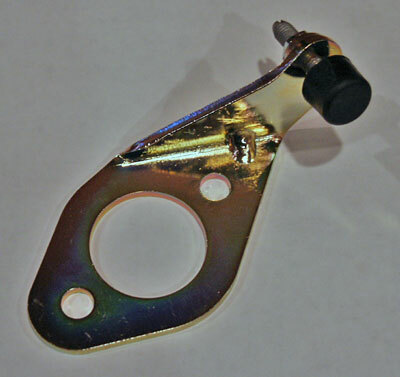 The spacers are 15mm thick and bolt directly on the clutch or manual brake pedals using an existing threaded hole in the pedal, after removing the pedal pad. The pad then fits over the spacer. You can double them up for 30mm. Last edited by PorKen; 11-28-2009 at 06:52 PM..
Is that stop something that you're selling - if so, I'm buying. This will be perfect for the track project - thanks. Nice find on the spacers, Ken! I put a spacer on my steering wheel, and now its too close to my chest when I can reach the pedals- so the pedal spacers will make nice adjustment for perfect fit. Works great, and is perfect with my clutchstop. I wasn't able to move the seat back, but I was able to raise the front of the seat up to the max, which puts my shoulders farther back, so I'm comfy, now. 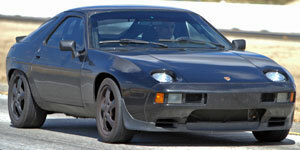 FYI: Roger checked, Porsche says there are ~170 in stock. There used to be a automatic brake pedal sized version, but that is NLA. I think I read about cases where people were clutching too hard and the top of the clutch pedal arm itself actually cracked. Will this put more strain on any of the arm if people clutch to the stop and keep pushing? Not trying to knock your design, you know I'm one of your biggest fans, I'm just curious. IIRC, that was with very early clutch arms. They may have been designed to break like that in a crash. They cracked at the top, AFAIK. The rubber buffer is a little squishy, and the stop bracket purposely has some spring in it. Normally, you don't hit the stop at full force, and the hydraulic clutch action slows you down anyway. I was worried when designing the stop bracket that it wouldn't be beefy enough. In testing though, I found that you can't hit it very hard, and it didn't take much to stop the pedal. 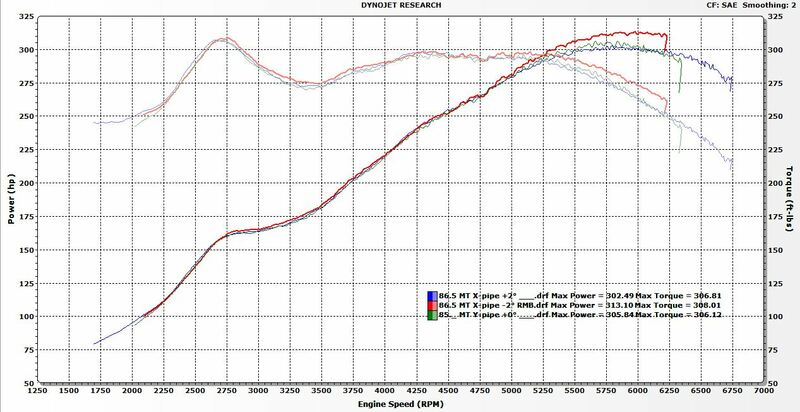 Yeah I couldn't understand how that happened anyway, I mean we're all taught to clutch 'all the way' but once you've driven for a while you certainly develop a feel for it and you don't need to slam it down with full force. It's the 78-80 pedal that's weak, 928 423 313 00. 81-up have a sturdier design. My 82 had that hollow one on it and broke right at the weld. 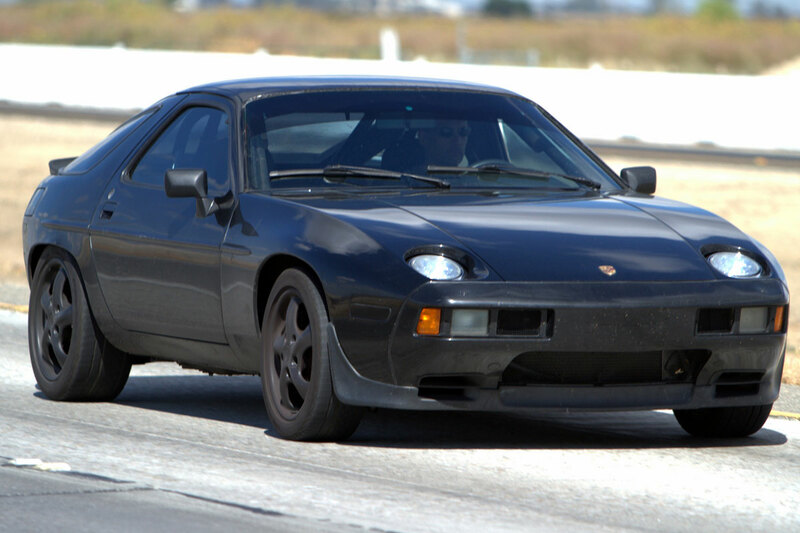 I Picked up a nice solid one from 928intl. Fit the new bracket with spacer, bolts and washers. I started with 1 cm of adjustment. 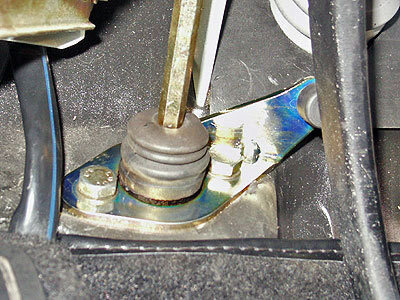 Use a small 10mm wrench (spanner) to tighten the stop nut once desired stop is achieved. Done 8 minutes total. Will post up more on driving tomorrow. The spacers are there to get through the insulation/sound deadening. What happened to your SD/carpet? It makes for good install pics, though! '78-'95 all have the same spacers, and trim plate.